The kids are bored, the dog is restless, and you could probably do with a little fresh air yourself. Time to round ‘em all up and head out for a healthy dose of vitamin D in the park. Yeah, yeah. It’s a real place, okay? Stop laughing. Anyway, Marshmallow Park (stop it!) is something of a project for the state government, and they’ve put a heck of a lot of effort into upgrading it recently. It’s still ongoing, but the results so far are pretty amazing. The playground is enormous, and the rows of trees provide plenty of shade for walking, cycling and most importantly, eating. Speaking of, for a calming brew and a spot of Thai, head over to Thea Tea House. Joy-Discovery Vegetarian Cafe is also perfect for a healthy snack. 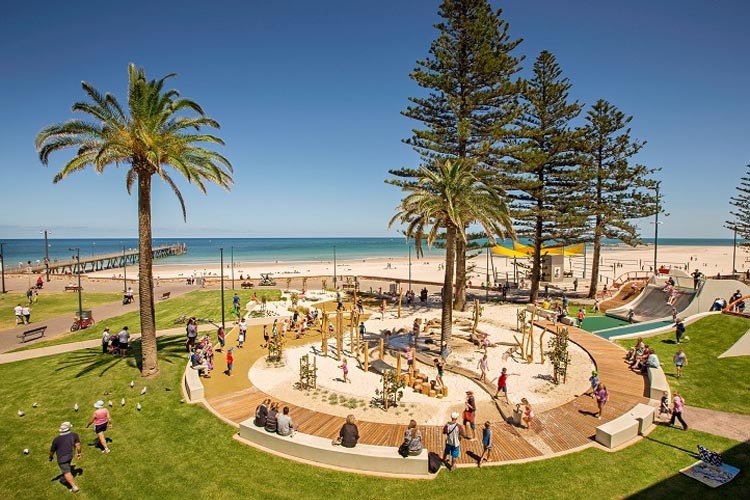 It might sound like it was named by a particularly unimaginative robot, but Glenelg Foreshore Playspace is a very popular spot for local families. It is indeed a space in which one can play, as well as go for a swim, have a stroll or indulge in a tasty picnic. There’s also plenty of interesting shops to browse nearby, so head over for a full day of fun. If you get hungry along the way, Glenelg Jetty Hotel is a great spot for a beachside bite, and House of Serendipity is vintage fashion heaven. 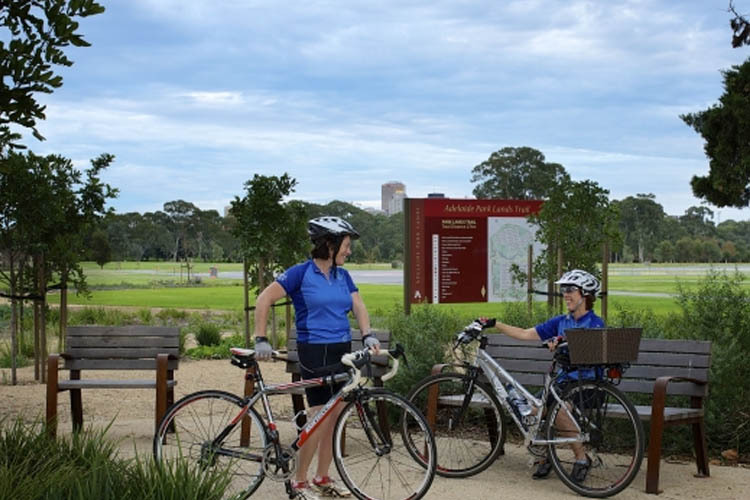 With 34 hectares of sprawling green space, Botanic Park certainly doesn’t mess about. 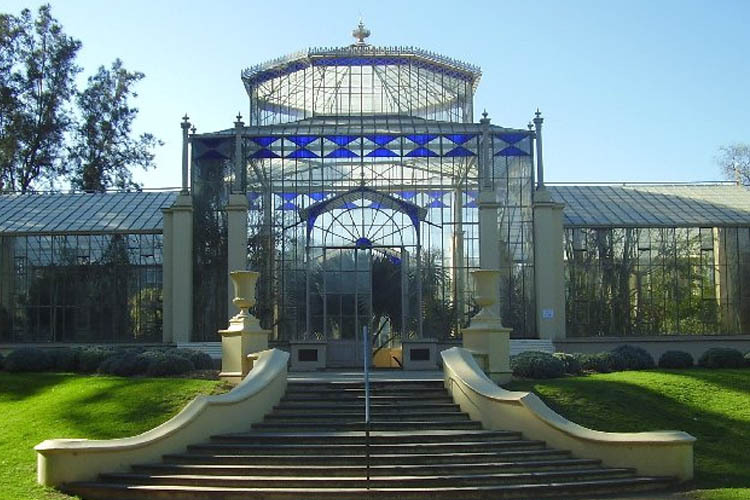 It’s a part of the Adelaide Botanic Gardens, and is often compared to London’s famous Hyde Park in terms of its sheer scope and floral majesty. It’s quite a sight, to say the least, and you could spend hours wandering around taking it all in. Plus, you might just spot a koala! If you’re thinking of tying the knot anytime soon, Botanic Garden Weddings can make it the day of your dreams. For a more everyday treat, the onsite Botanic Gardens Restaurant is a must-try. 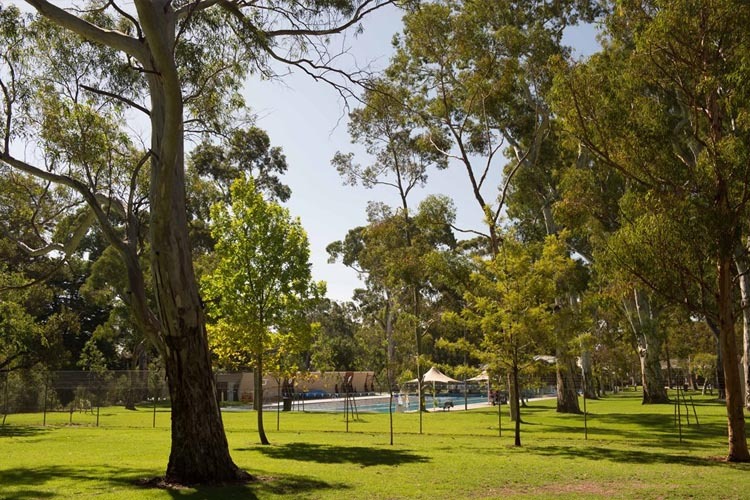 The legendary home of the Adelaide 500, Victoria Park has been transformed into a picturesque public space with wetlands, sporting facilities, and tons of space for everyone to spend quality time there. It’s a great park for walking the dog, and there’s so much to do that you can easily make a proper day of it. It’s not a proper day without pizza, of course, and La Scala Cafe & Pizzeria is the place to get it. You could also visit Doof Doof, because, well… they know food like the backs of their hands. Hazelwood is all about pristine natural beauty, and this large suburban park remains surprisingly quiet for such an attractive space. 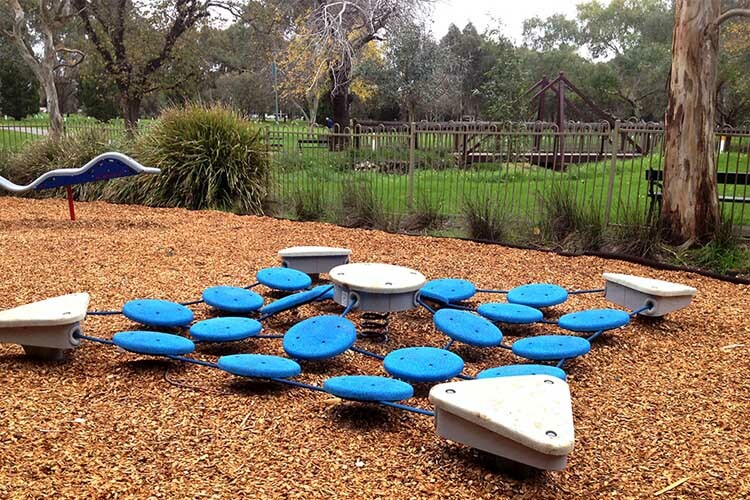 It’s known mainly for the huge, ancient eucalyptus trees scattered thickly about, but it’s also boasting multiple play areas, picnic tables and barbecue facilities. A bubbling creek runs all the way through, and it’s right next to the George Bolton Swimming Centre. Hazel’s Poolside Café is tucked right inside the park itself, but if you’re after something a bit different, check out nearby Samui Thai, which is a real local gem when it comes to spicy goodness.